Normal e-mails are as easy to read as a postcard today. Anyone who sends sensitive information unprotected not only risks being spied on but also a fine, a prison sentence or at least a damaged reputation. This is why you should protect yourself and your company with IncaMail. IncaMail is the electronic service of Swiss Post for securely and verifiably sending confidential business information such as pay slips, personal data or account statements. With the patented SAFE technology, every communication partner can be reached directly and immediately. IncaMail is offered in integrated solutions by many partners worldwide. IncaMail enables confidential information to be sent encrypted from e-mail clients like Outlook or Office 365. IncaMail ensures that bulk mailings like payslips or tax assessments are sent securely from business software. The IncaMail web interface enables encrypted, traceable e-mails to be sent and received via personal e-mail addresses. List of all IncaMail partners and other important information on the IncaMail partnerships. 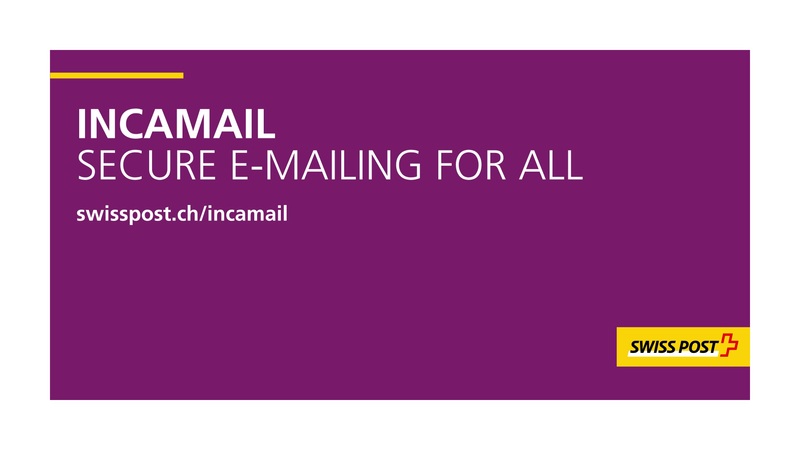 An overview of all important information and news about IncaMail.